What do the best-of-the-best do in their sales and client meetings to build trust and win work? Use these free tools and templates to learn some of their techniques and get advice on what to do in future meetings. 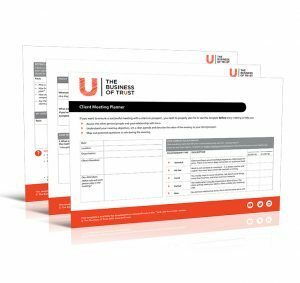 This three-page template is an essential client relationship building tool. It will help to ensure you have meetings with clients and prospective clients that are engaging and build trust – making them want to buy from you. Want to make sure you continue to build trust and engagement after the meeting, and ensure you get a second one? This template shows you the most effective way to follow up with someone by email after a meeting. 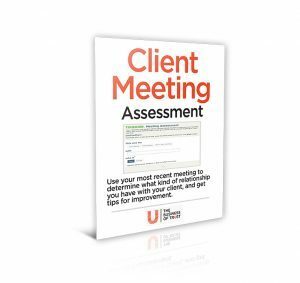 Use this meeting assessment tool to understand exactly what type of relationship you have or are building with a client or prospective client, and to receive advice on what to do in your next meeting to move your relationship towards a trusted, partner relationship. Your behaviour dictates the extent to which people will want to engage with you: colleagues, clients, customers, suppliers. 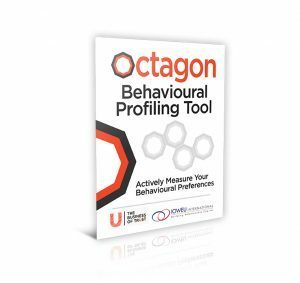 The Octagon is a simple but accurate self-assessment tool that measures your behavioural preferences. It provides a reference point that helps you to think about your own behaviour, how your preferences may impact how others respond towards you, with advice on how you might need to adapt to build rapport. In these videos The Business of Trust team share some tips on common sales and BD challenges. Keith discusses the core elements of a successful key client strategy that will help you deliver on your business strategy. Keith explains why having the same end game is essential if you want your teams to successfully cross sell. What happened in your last sales meeting? In this video, Keith discusses why selling your authority and expertise won’t maximise the engagement of your prospect or client. In this video, Keith discusses discounting, and how to handle it when a client asks you for one. In this video, Keith explains why you might be disengaging your client in your presentation or pitch. In this video, Keith gives an overview of how the four levels of thinking can be used to help develop strategy. What does a good sales or client meeting look like? In these role play meetings, Keith plays the ‘seller’ and Kathryn plays the client – a senior leader in a government organisation in charge of a public transport project. Each scenario addresses a different challenge that we often see our clients face in various meeting situations. In each video, we first role play a ‘bad’ meeting, followed by a ‘good’ meeting. In between each one, Keith offers some insights as to what works and doesn’t work in building trust in meetings. Making a cold phone call to a new prospect. Meeting with a senior decision maker when you’re a detail driven person. How to follow up a losing bid. A meeting where you disagree with the approach the client is taking. Pitching your product or service in a meeting. To access these videos, sign up here. Are you looking for some new ideas on sales and client relationships, or ideas on how to help grow your business or career? Check out these resources and articles for insights and inspiration. 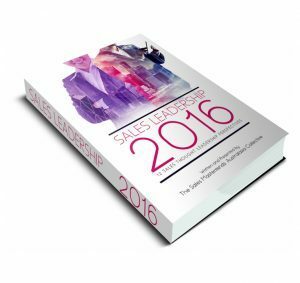 Sales Leadership is a collection of perspectives from 12 of Australia and New Zealand’s best practitioners and thought leaders in sales from the Sales Masterminds Australasia Group, including Keith Dugdale. 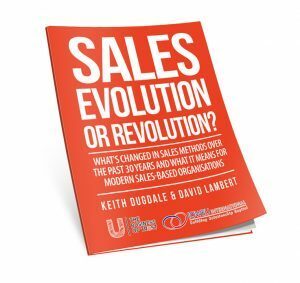 A Sales Evolution or Revolution? A selection of other resources that we hope might be useful to you in building a client centric organisation. Are you trying to build a truly client centric culture in your organisation? 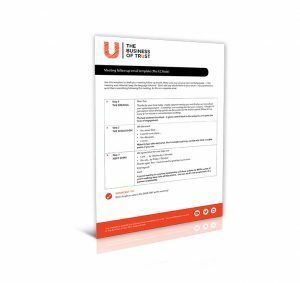 This download shows you the seven foundations upon which The Business of Trust believe a client centric culture is truly built.